Our first stop on our best beaches in America, that I have been to tour, is the Gulf Islands National Seashore that comes in at number 3 on the list from Trip Advisor and number one on my list of best beaches I have dipped my toes in. 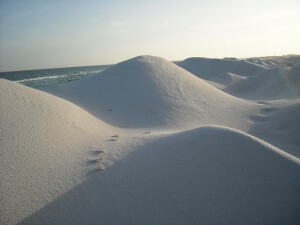 Dunes at Fort Pickens Beach. Located just down the road from Pensacola Beach, the Gulf Islands National Seashore includes unbelievable dunes and miles of unobstructed views of the Gulf and Pensacola Bay. While technically not part of the beach, the area also includes historic military forts that can be toured through either a self paced or guided manner.